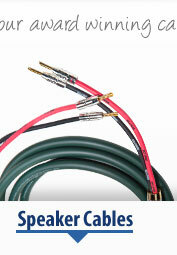 The Ecosse CS4.2+ BIWIRE speaker cable sets a new standard in the sub £10.00/m cable stakes. Here our delicate stranded conductors are sheathed in a substantial low-loss dielectric polypropylene insulation and carefully bound in a concentric and tight lay, then twisted. Twisting of the conductors is necessary to overcome the so called 'proximity effect' that naturally occurs when 2 conductors are close to each other and can affect the frequency response of the audio signal, specifically increases at the low frequency (bass) end. With 'rope-lay' construction the wire is pleated allowing a large X-section of cable. This is vital as large X-sections (+2.00sq mm) provide a low DC resistance for the transmission of low frequency (bass) information, (together with extended stereo width, height and depth) and a greater surface area for the transmission of high frequency signals. Using a biwiring configuration the net effect is a reduction in impedance seen by the amplifier; load is reduced and frequency response increased. The upshot of which is a genuine extension of soundstage and dynamics. 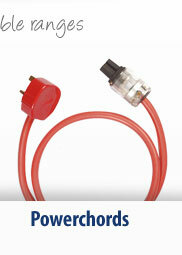 More information on biwiring can be found here. 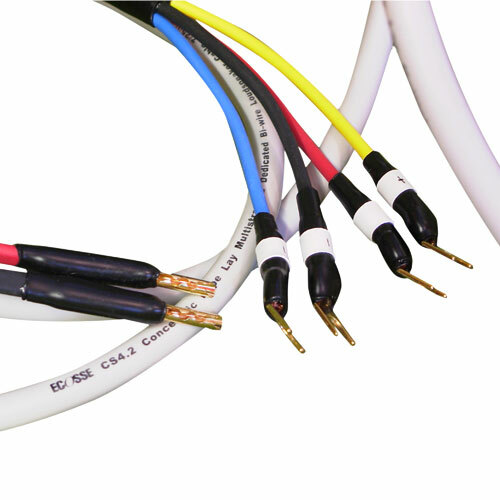 With the CS4.2+ biwire cable, 190 stands of five nines (5N) purity have been added to the 4 conductors ensuring even greater detail and clarity of a standard single-wire set-up. All four conductors are contained within a discreet and flexible single sheath for infinite ease of use. 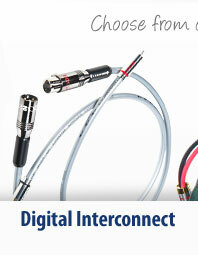 These four conductors are each precision-weave multi-strand UHP-OFC™ conductors. 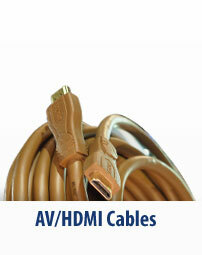 This cable clearly outperforms similar priced cables and we believe offers unprecedented value for money, particularly when used in inexpensive installations. May be configured 2-to-4 or 4-to-4 and terminated in z/x copper bananas or spades. 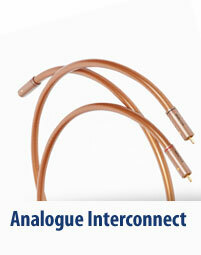 "...a great deal of detail... a rocker's cable"